Sisal is basically a fiber yield which is pretty dry in nature. This is very much similar to jute. The heavy duty ropes and a number of other products are made with this fiber. It has a pretty charming color that is much closer to the wood shade. So the ropes made with sisal can best be used in multiple art crafts due to their specific shade and design. Using them in raw form is even better for your art projects. 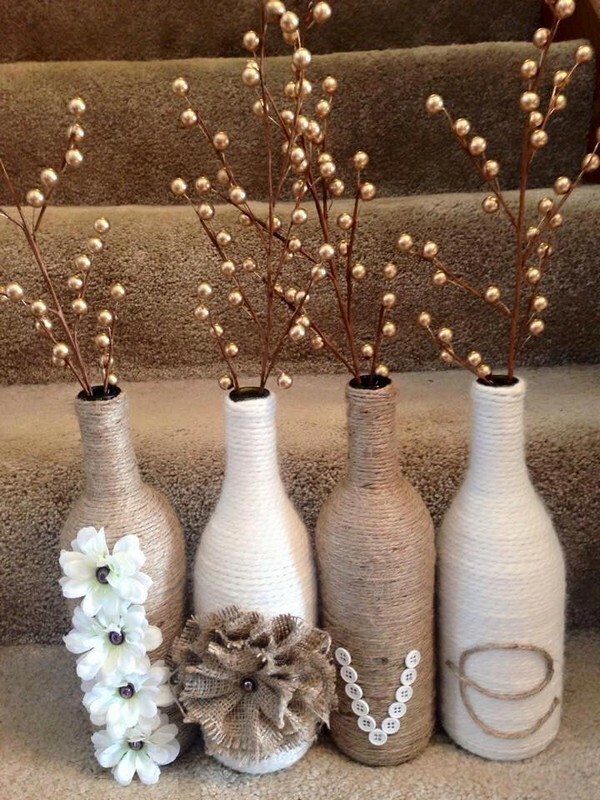 Here we are presenting a couple of décor art crafts with sisal rope that would really make you guys impressed. 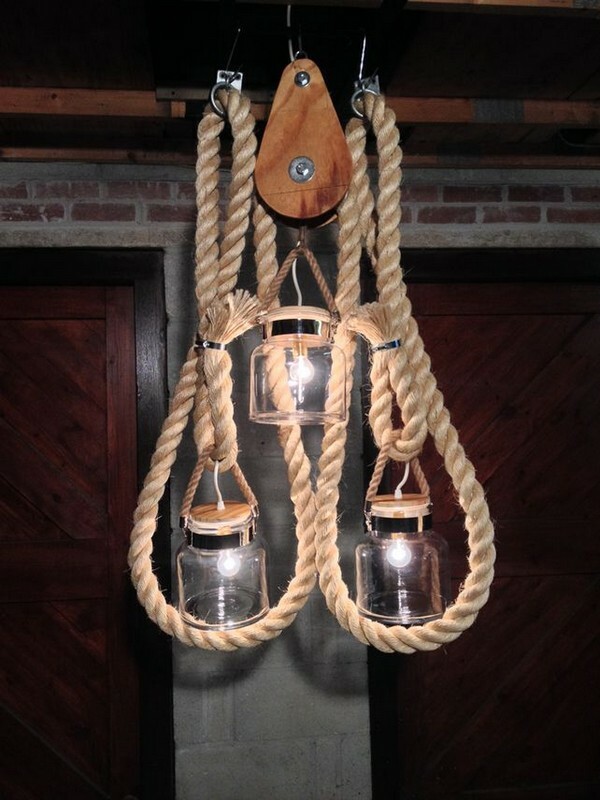 To begin with this chandelier or light idea, I am glad to tell that mostly the sisal rope is used all around the lighting object. 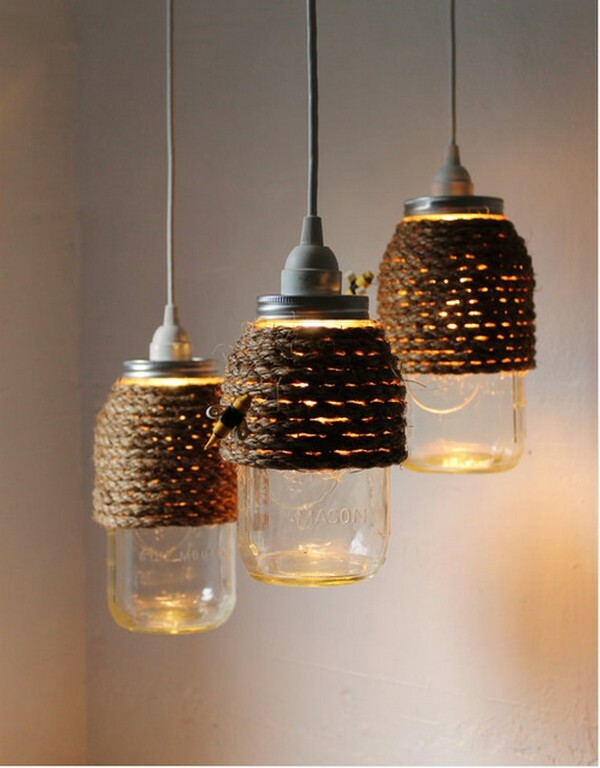 The inner lanterns are made using the common mason jars and they are covered with the wooden corks. 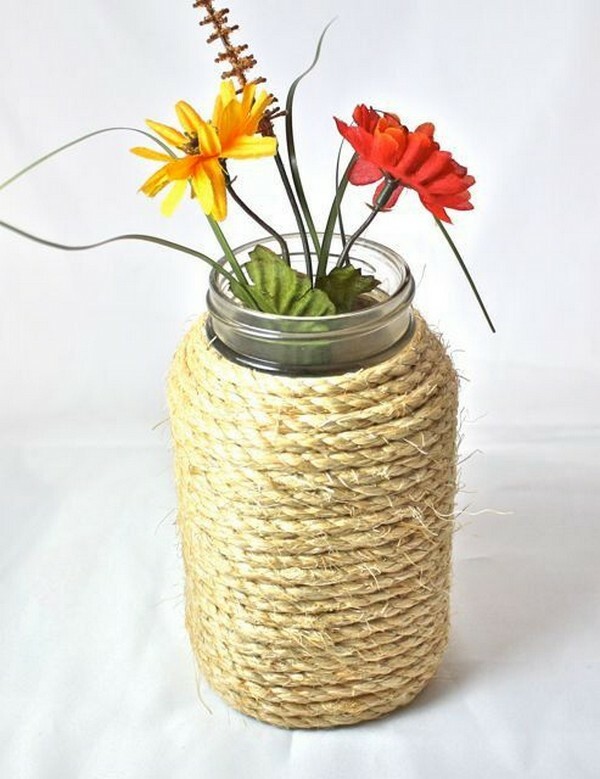 To make a couple of extra ordinary vases for your home interior, you can again resort to the sisal rope. Apparently this is just an ordinary stuff, but if you use it in a smart way, you can really make wonders with it. 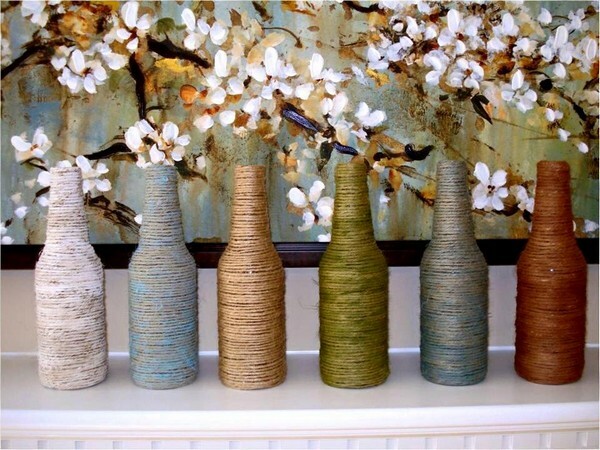 Like here we just wrapped the glass bottles all around with sisal rope and filled them with artificial fillers. As we said earlier that sisal rope has already got a very attractive shade which make it an ideal accessory to be used in various art crafts. 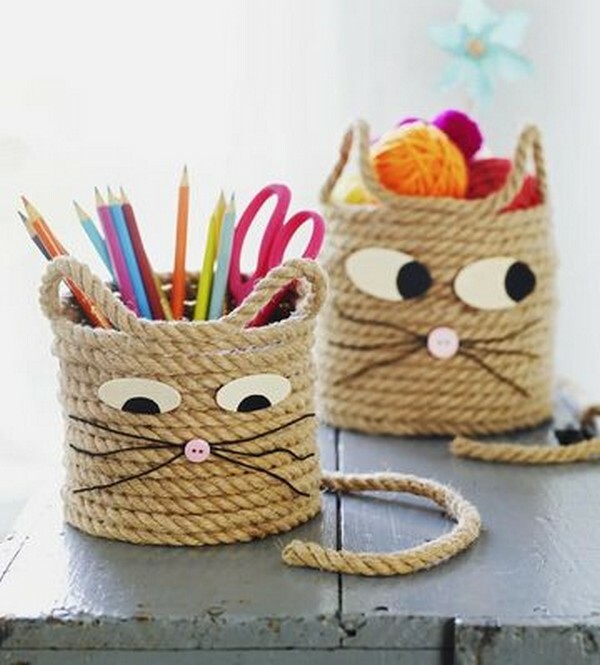 And the fiber being hard enough can stay erect at its own with just some accumulated layers, as here these pencil boxes are just made by wrapping or encircling the sisal rope. Now this is time to do some good work for the creatures of God. 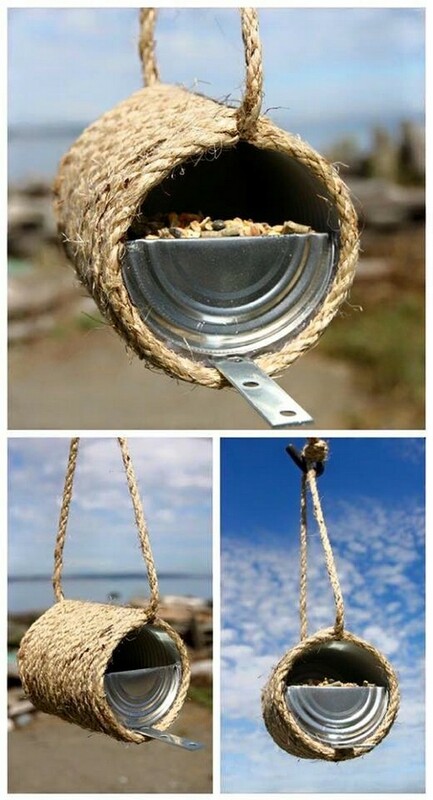 this sisal rope recycled birds hanging feeder is gain the creation made with same stuff. A used tin was covered with the sisal rope, and again hanged with the same. 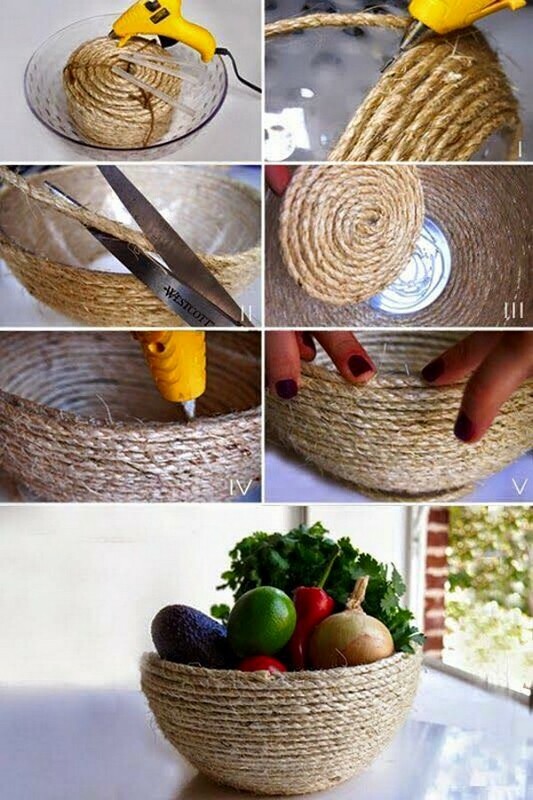 While to make this sisal rope basket you don’t need to learn some rocket science. Just follow the steps one by one, this is just so damn easy. You just need to be equipped with a couple of supportive accessories and sisal rope as well. Now this vase is again inspired from the one we made a couple of projects ago. In that one we used a glass bottle, here the object is a bit wider, this is basically a common mason jar which is no hard to find at all. And the rest is the same. Here we have gone a bit farther. 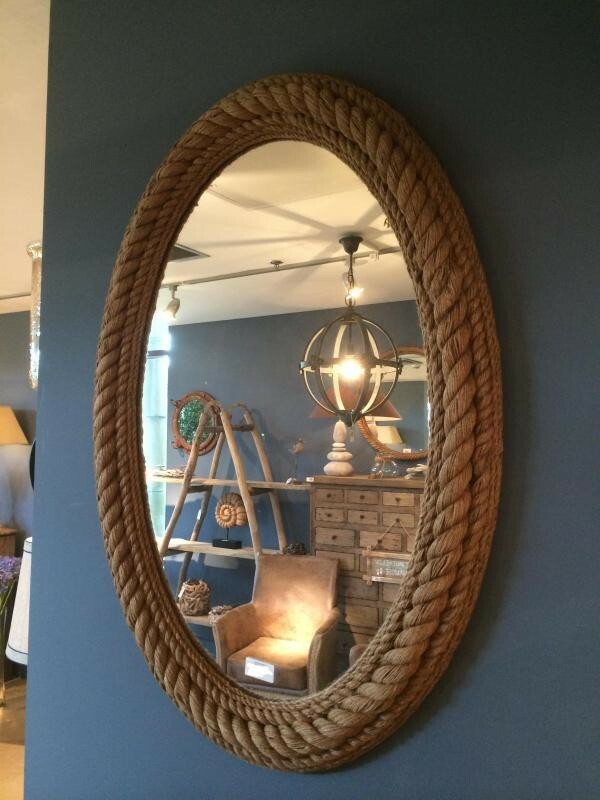 We actually did some little modifications in the things like we have stained the sisal rope in a darker shade. And the common Edison bulbs are crossed through the mouth of the mason jars connected with bulb holders, there’s nothing complicated at all. And this brooch need some really special spot to be used on as this is something exclusive, which isn’t so normal to be seen frequently. 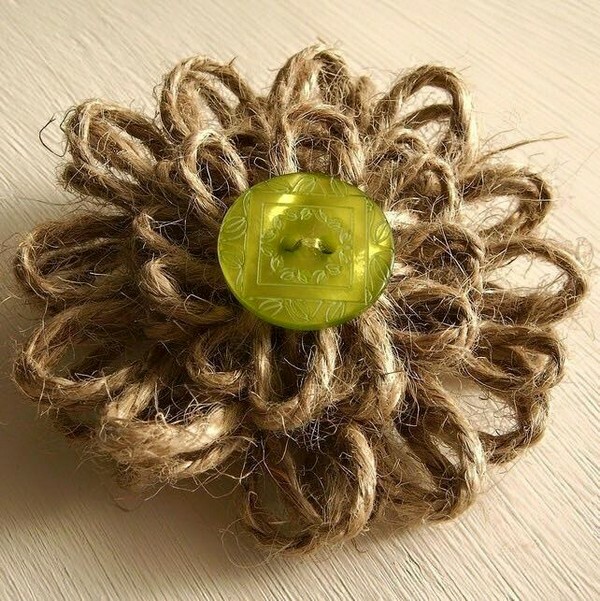 Just a large button on the face and the rest is all made with the sisal rope fibers.